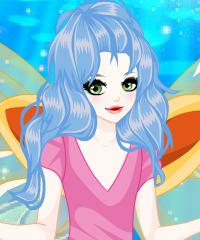 Magical Flower Fairy Girl Game. It is Both Dress Up & Makeover Game. Go Play and Visit this Amazing Fantasy World that Has All Kind of Creatures. You Can Choose from Many Backgrounds Like Winter Forest, Wizardland & Underwater.